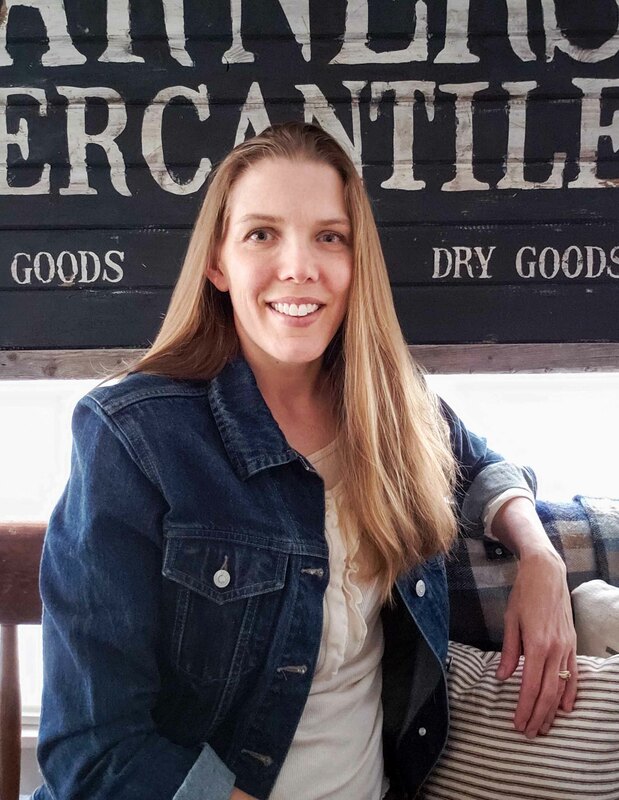 Here is where I’d love to officially introduce you to my partner in furniture and DIY (and my highschool sweetheart), please give a warm welcome to JC. His name is short and sweet, and he deserves the biggest award for putting up with creative ol’ me. I give him props for taking the woodworking end of this and figuring out all the specs. It’s fun to analyze this type of furniture puzzle, and, thankfully, we work well together. 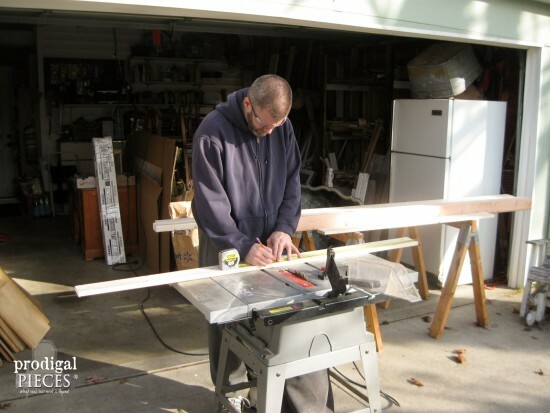 He chiseled out the mortises and got everything ready for me to tackle the finishing end – even to the point of working on our shop floor in the dark with a lamp because we have so much going on – whew! Anyone in our line of work can understand how this is my perpetual living room rug and how my living room pretty much looks all.the.time. One day we will have a shop where I can go back to having a normal house. In the mean time, I am blessed to be able to do what I love. 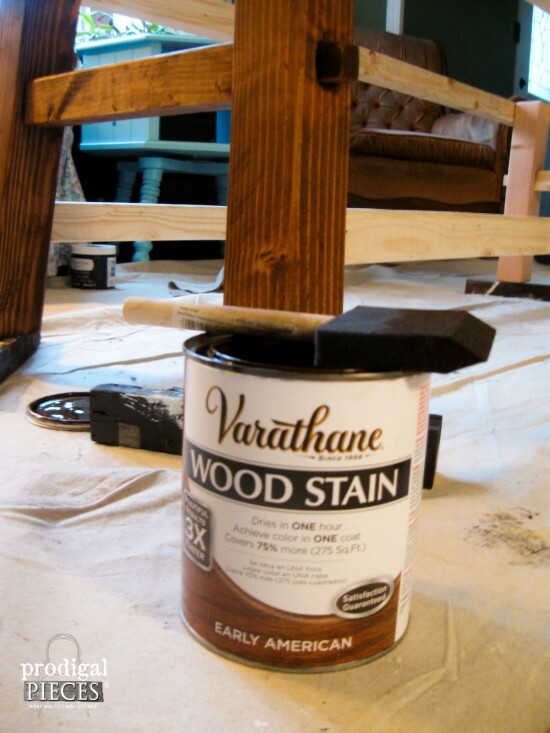 To create a rustic base, I went for my favorite stain, Early American Varathane by Rust-Oleum , that we used in our bedroom, our bathroom, and on several other projects, including our other Pottery Barn knock-off. Once the base was finished being assembled using our Kreg Jig (one of my all-time favorite tools), it was time for the upholstery. 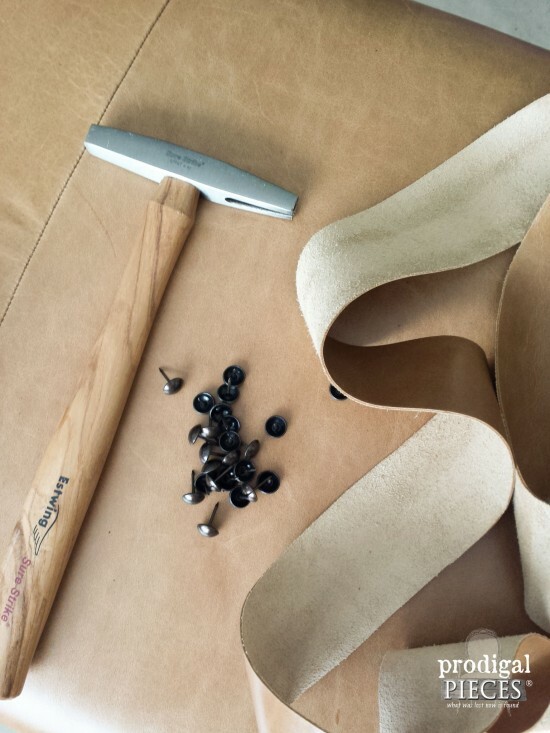 I have done several upholstery projects, like my channel back chair and my feed sack chair to name a few, but have never used leather in this capacity. Just look at this gorgeousness. 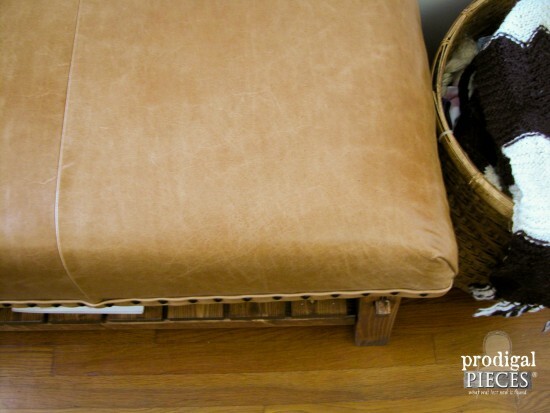 It’s called Restoration Wicker and is leather sourced from the same tanner that Pottery Barn uses as well. woot! 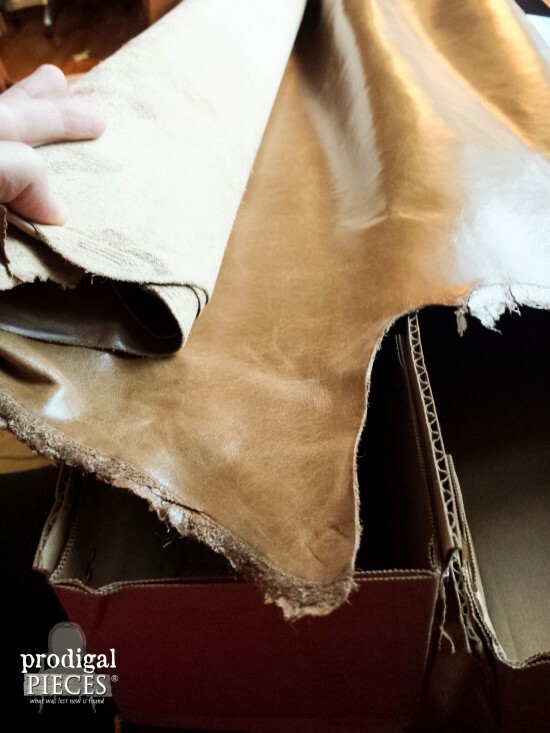 You can find this and more upholstery leather at The Leather Hide Store. I was a bit nervous to cut this beauty, but I was so excited to see our finished project, that I quickly put my nervousness aside. Once I got my pieces cut, I sewed them together and then attached it to the base of the bench. All that was left to do was to add the trim and nails. Are you ready for our reveal? I am!! Not too shabby, eh? 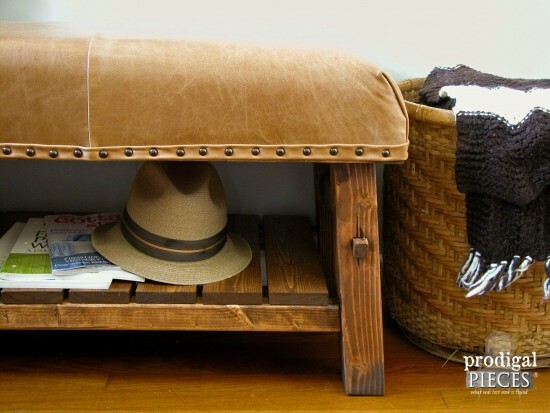 I love this bench for its rustic appeal and the storage it offers. 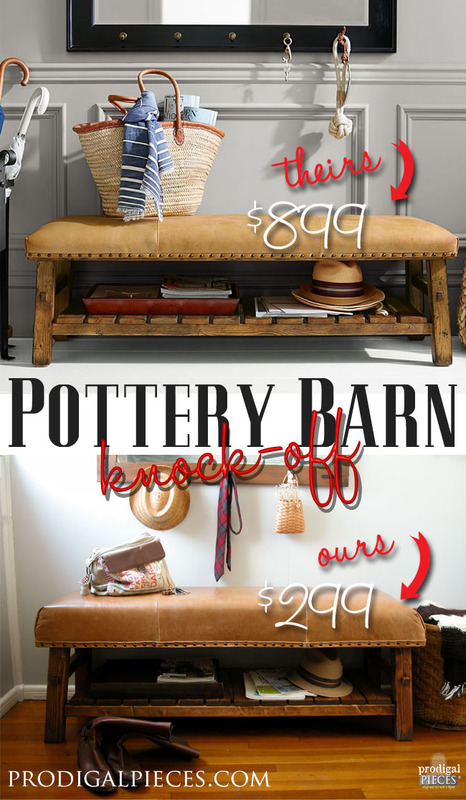 We not only tried to recreate the Pottery Barn bench, but also make it better. 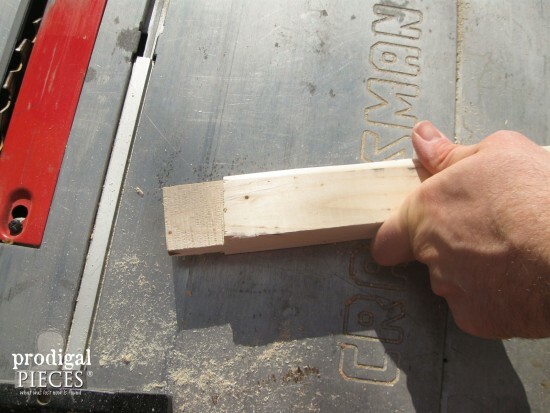 Instead of a 3″ foam on top, I choose the 4″ to give long-lasting effect and use. A huge thank you to my husband, JC, for helping make this project so wonderful. Here’s a key chain that I had made on our first trip to Cedar Point together. I had just graduated from high school at turned 18 and he was 17. Wasn’t that long ago, right? Time flies when you’re having fun (or lots of kids). 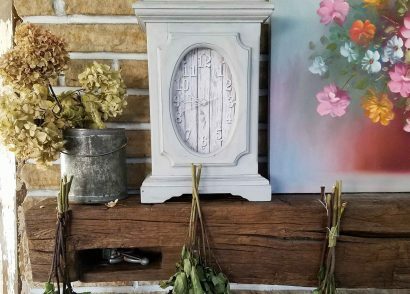 I hope you’ve enjoyed our Pottery Barn knock-off project and hope that you’ll pin and share our work for others to enjoy and be inspired. Don’t forget to head below to see what storage and organization furniture my blogger friends have for you! I can only say Wow! What a fantastic job you all did. tee hee. 😀 Thank you Debra! Gorgeous piece! I love it! Thank you, Lindsay! There’s nothing like a custom piece, right? Wow!! What a super project and I’ll go for your version all day long my friend! What a sweetheart too, for your hubby to join in a help…to the extent he’s on the floor while it’s getting dark. Your bench is beautiful! This is absolutely beautiful. You guys did an amazing job. And I totally know what you mean about your house looking like a workshop! Thankfully my husband just rolls with it and doesn’t mind when there’s a half painted dresser in the middle of the kitchen :). You are AMAZING! That is all. The bench is absolutely beautiful. Thank you so much, Sharon. We are very pleased with the result. Now to make one for ourselves, right? Larissa, your knock-off is a KNOCK OUT! As in total KO, girl! Outstanding job! Pinning! Woot! Funny thing was, when we do it together it doesn’t seem that hard. We just need more time – doesn’t everyone? You blow me away every month! WoW! hee hee…thanks, Jeanette! We have fun and love to share our passion. WOW !! THIS IS GREAT . I bet this is one piece you keep and don’t change for a very long time. Thanks, Bessie! That was what drew me to this piece. So classic and doesn’t go out of style. Picking my chin up off of the floor over here – wowee you two. You Pottery Barn Knocked this one out of the park! Thanks so much, Marie. The two of us could do so much, but time is always a factor. Maybe one day! Wow, Now that is a beauty. You guys should go into the furniture business. This is absolutely gorgeous! hahaha…we sort of already are. 😉 Thank you, Mary! Now if I could just get my husband to stay home full-time. It is beautiful. Gotta love those husbands!!! Thank you! Yes, the do come in handy. tee hee. Awesome knockoff!! I like your stain better! 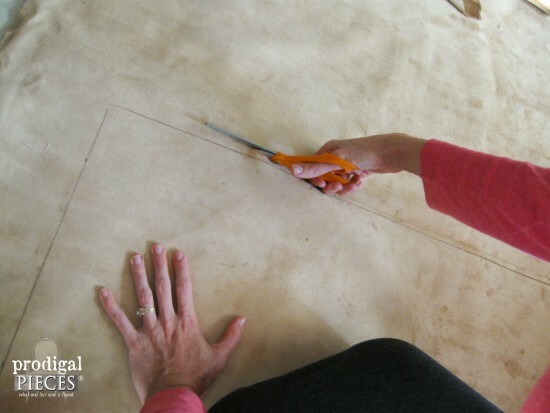 Did you use a regular sewing machine to sew the leather? Kudos to JC & his carpentry skills! Great job to both of you! I. Love. It. You nailed it alright! Thank you from the both of us, Bliss! Oh yes, leather is divine! Thank you for the love, Kimm. What a talented hubby you have! This turned out fantastic! Larissa, Both you and your hubby did a wonderful job on this bench. You make me want to try and use leather as a fabric. Thank you from the both of us, Kathy. 🙂 You should give it a try! Amazing! Your version is absolutely beautiful! 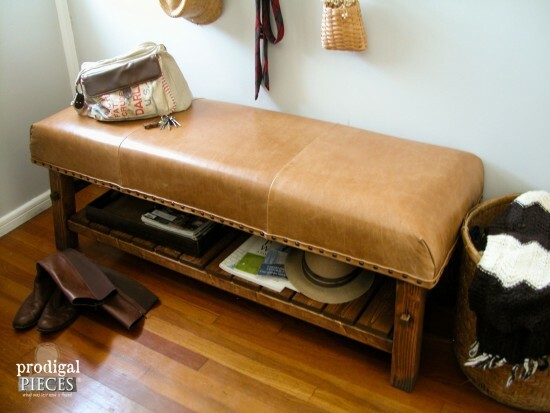 I’m drooling over that beautiful leather and also the storage under the bench. 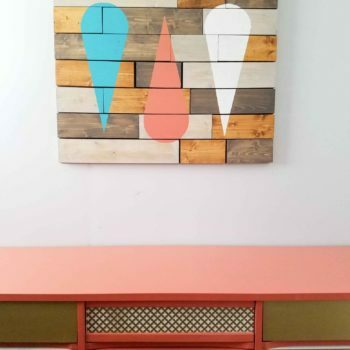 This is going to be perfect in someone’s home. 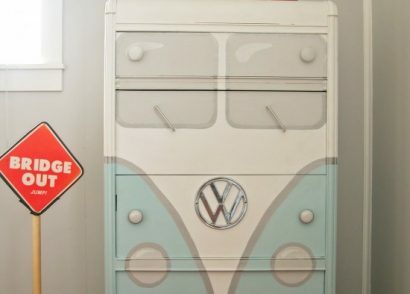 I’m definitely showing this to my husband as I want one for our house! Leather is so rich and we’re pleased with the results of our efforts, Paula. You and your husband would love it in your beautiful new home. Larissa, you are the knockoff queen!!! Just amazing! Larissa, this is just gorgeous! I’m so happy to see it turned out so well, because I have a similar project in my future. Awesome, awesome job! Love it !! you are sooooo talented !!! love your blog !!! peace love and happiness always ! Thank you for giving me a good start to my morning, Mary Jo. 🙂 It’s wonderful to be appreciated. I’m a fan of Prodigal Pieces, Larissa. I started following you about 6 months ago and I admire your talent and love the projects you do. 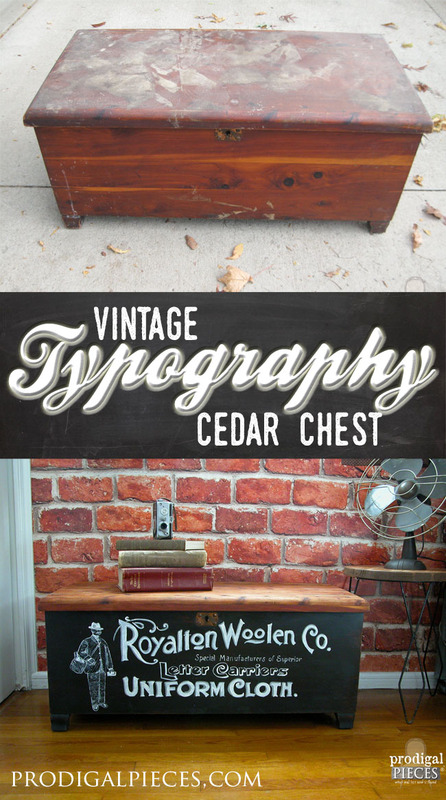 I’m refinishing a similar bench that I pulled out of someone’s garbage and am so excited to get working on it. Anyway, a question: Do you have a sewing machine for leather, or are you able to use leather needles and thread on a regular machine? That is awesome to hear! Thanks for the love. 🙂 I used my standard machine with a leather needle and a heavy-weight poly thread. Offensive high or offensive low? 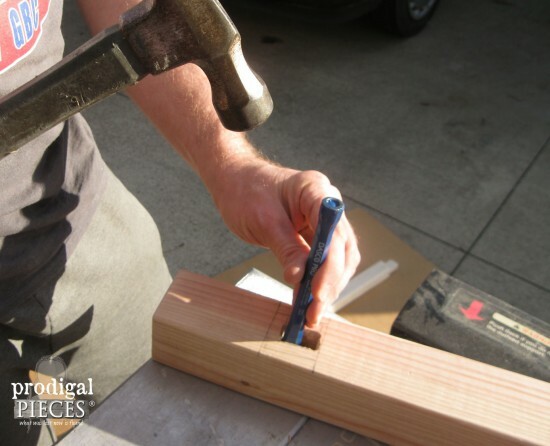 People have no clue how much work goes into craftsmanship or artistry. Sorry if this is a duplicate reply. First I want to say I’m really am in awe of your talent to re-purpose and recycle so many things that would’ve ended up in landfills. I came to your site via Build Something dog bed you made for your sweet pup. 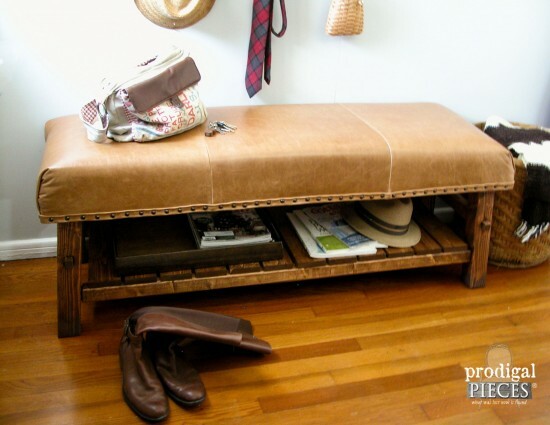 The PB bench you built is spectacular (and I would agree better) and would to make one as well. 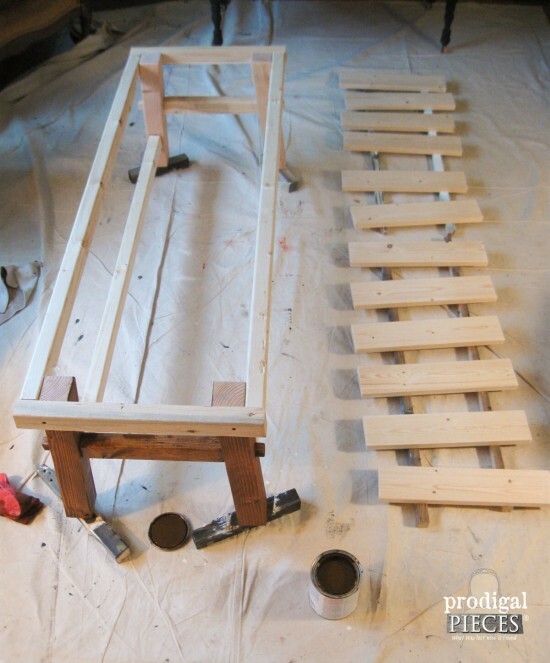 Do you offer the “how-to” instructions and directions for the bench project? Okay, I understand. Thank you. Looking forward to see more of your projects. You are so sweet, Sherry. Thank you! Love it! 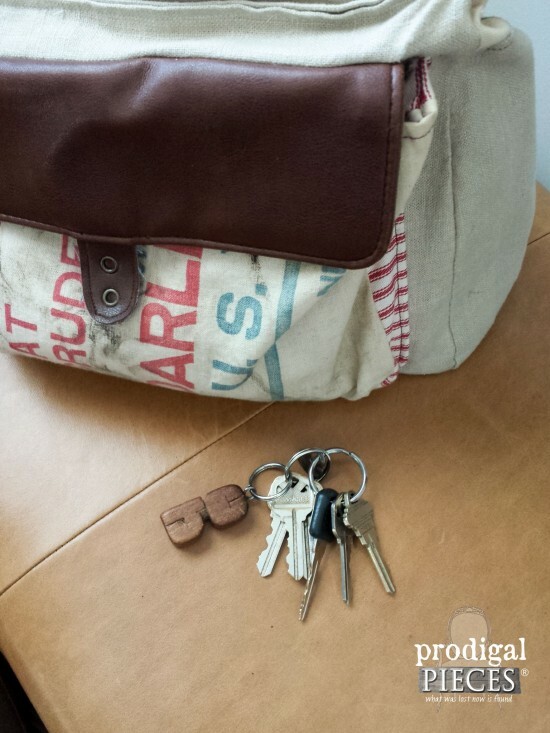 My Husband works for a leather supplier….I am thinking I need to visit him at work very soon-lol. That bench is fabulous!! 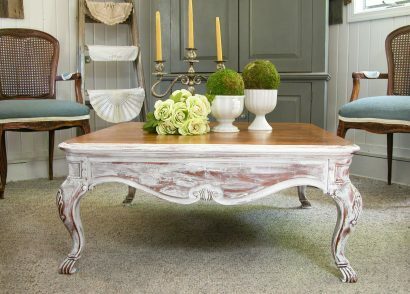 Love this baby I have been drooling over the Caden ottoman for ages, and plan on reupholstering my coffee table. 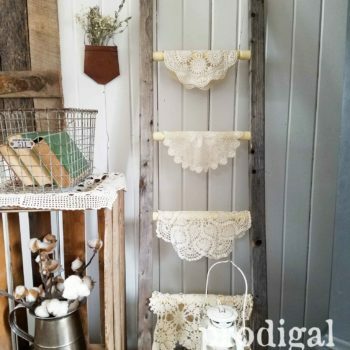 Question–what did you use for the trim under the nailhead? Thanks! Wow! You nailed it! And I love that you used thicker foam for the seat. It just looks nicer and I’m sure it feels nicer, too. Awesome job! You are so kind. We think we improved it four-fold and are happy to hear you see the difference. Thanks! 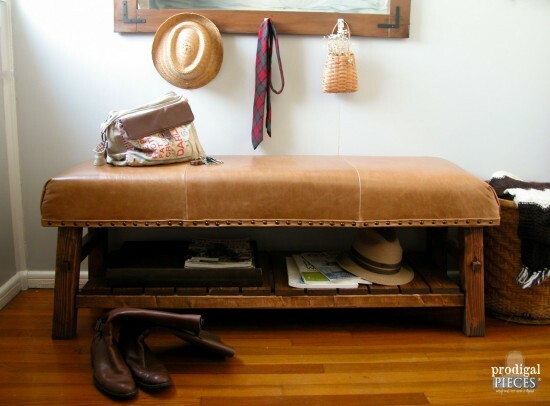 Hi , Is the Knock off bench from Pottery Barn available for purchase? Hi Michelle. 🙂 We are not currently making those at this time. My apologies for the disappointment.